Available for Sale, Export and Modifications. Available coordinating chassis for sale and rent. 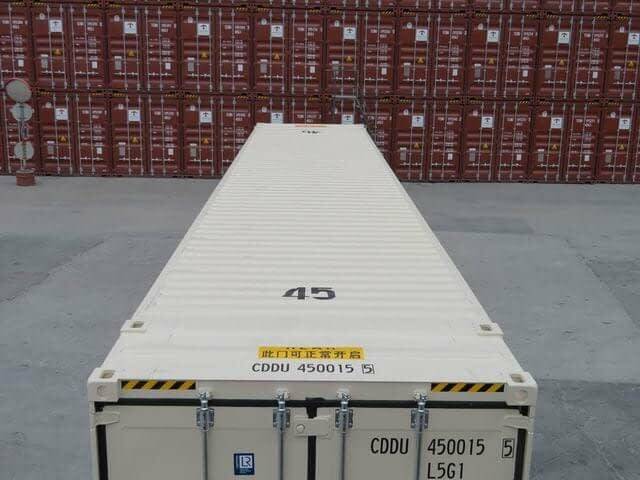 Our compliment of inventory includes New One-trip 40ft L X 8ft W X 9’6′ H Doubledoor shipping containers. 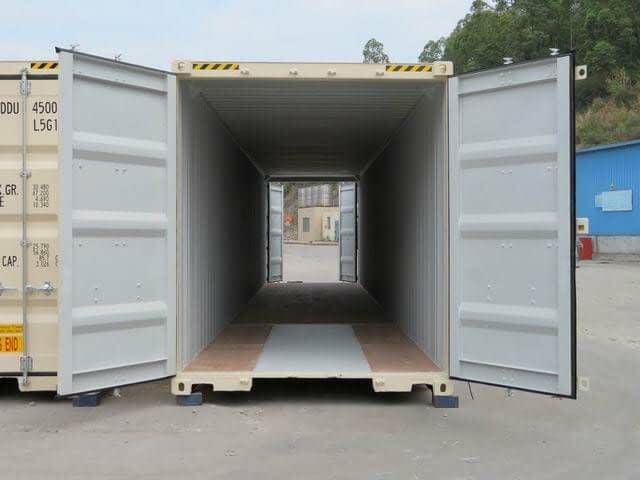 Units are manufactured with two swing doors at both ends They are highly secure and the additional doors offer convenience and safety to retrieve your materials or maintain your systems. If unavailable at the time of your plans, TRS can modify a 45ft by adding an ISO door end-frame. Additional doors allow access without a passageway. Ease in inserting lengthy machinery, pipe, commercial systems. Extra length allows for multiple workspaces under one roof.. 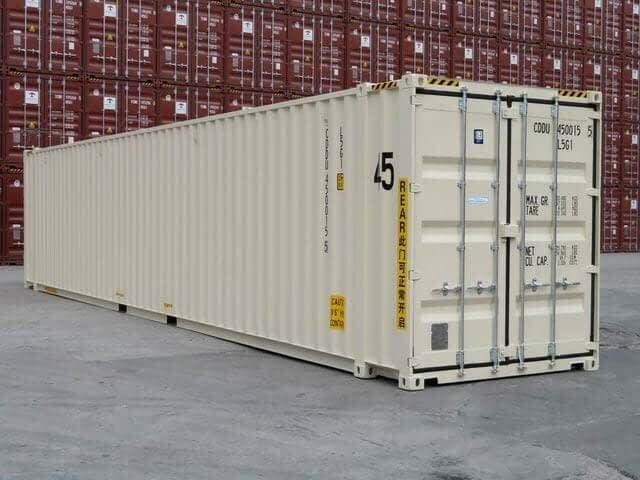 Sometimes referred to as Tunneltainers or Tunnel Containers. Anti-wracking plates on both upper and lower doors to prevent flexing. Two swing doors on BOTH ENDS for full access. 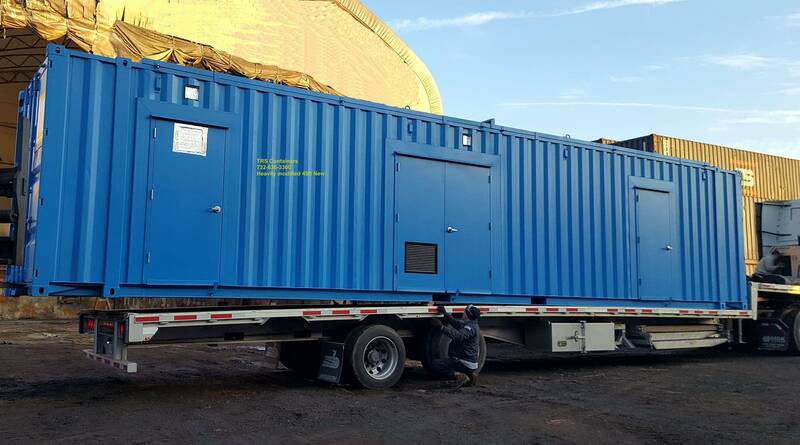 Energy Storage systems packed in a Container. Multiple container malls and markets structures. Popular in the domestic market: construction projects, system enclosures + residential housing. Portable Boilers with fuel tanks. Ship cargo domestically or internationally. Split Office and dry storage space. TRS converted a 45ft into a removable hardtop opentop. TRS installed 14ft wide motorized roll up doors in the sides.